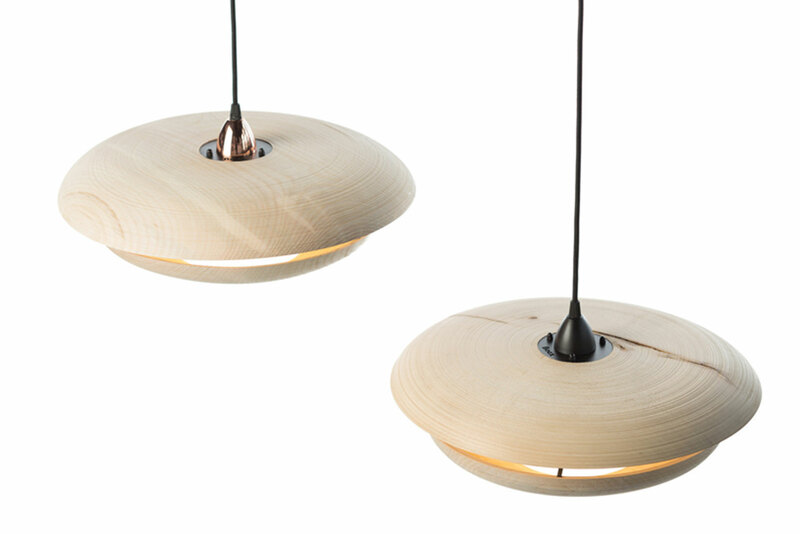 The Sat-Turn Light is a timber pendant light. 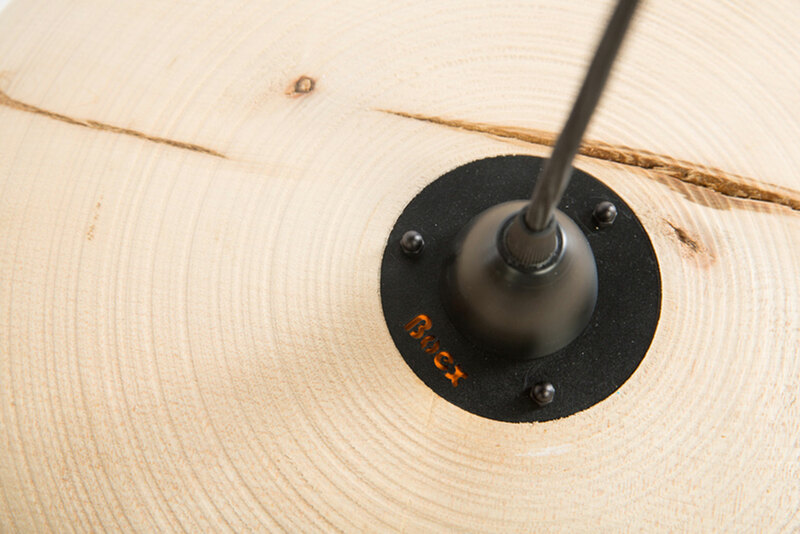 Inspired by traditional wood turning techniques, each pendant is hand turned from a single piece of solid Sycamore . 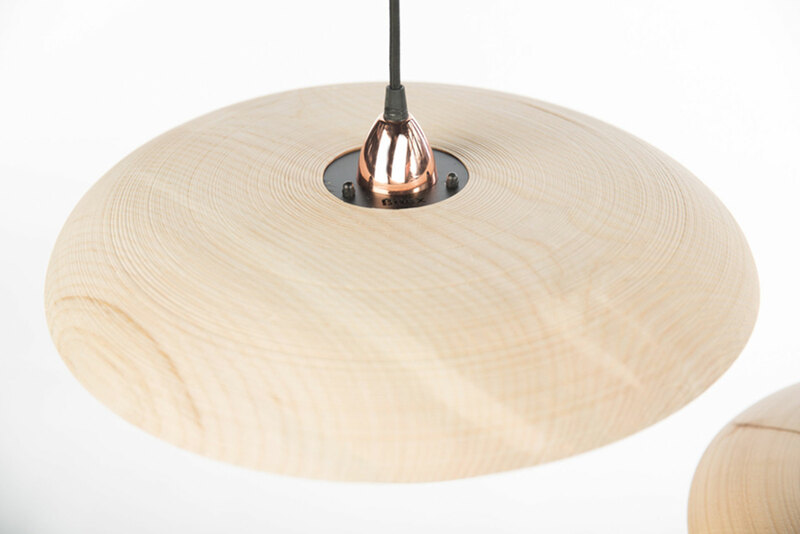 The domed timber sections of the Sat-Turn Light have no surface treatment or finish, they are literally taken from the lathe and assembled into the pendants preserving the texture, grain and fresh cut wood smell, even the cuts and marks from the turning process can be easily seen. 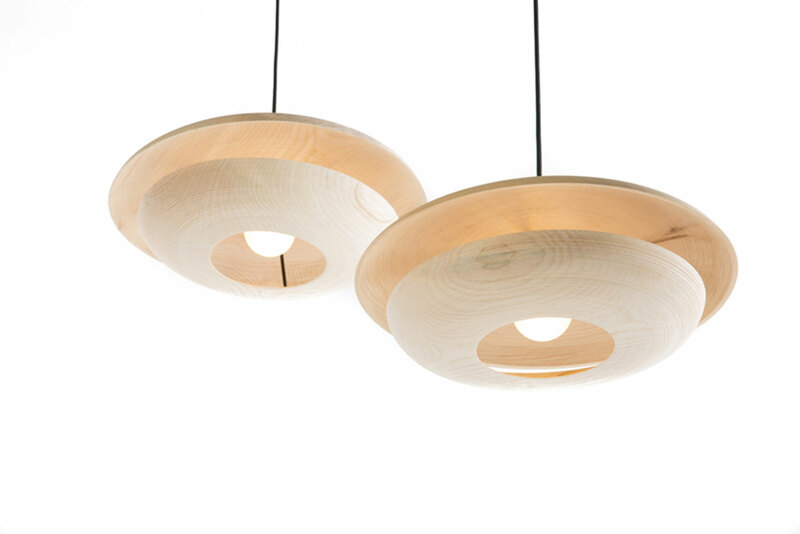 As the timber dries it subtly moves to create further forms. 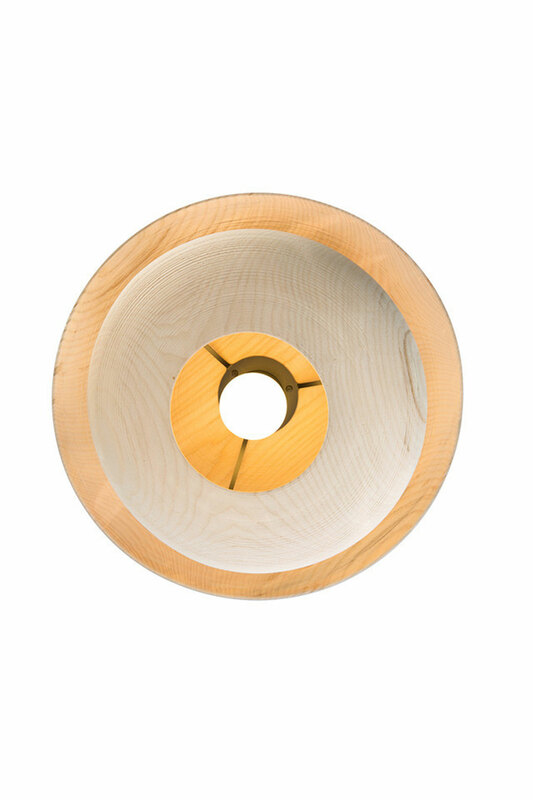 The timber is individually sourced to find the widest planks available to make up the two large half ellipsoids that make up one Sat-Turn Light. 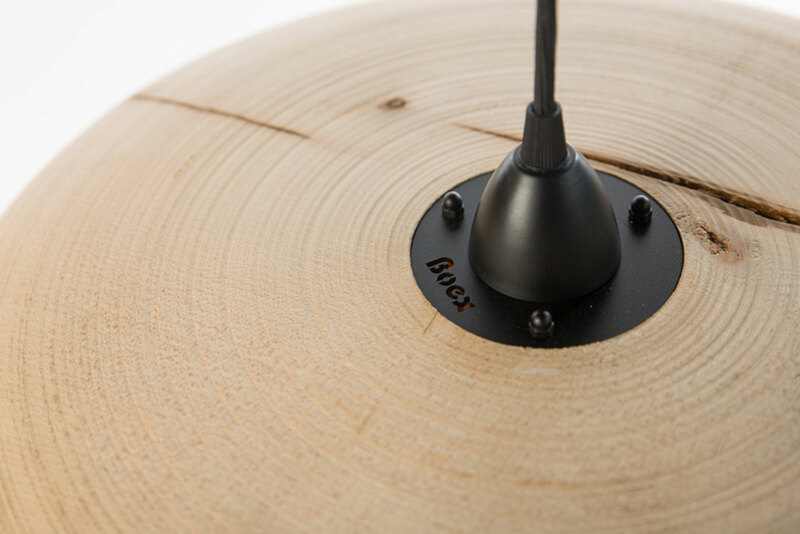 The turned components are held in location with bespoke laser cut steel brackets that have been carefully considered to reduce material waste. 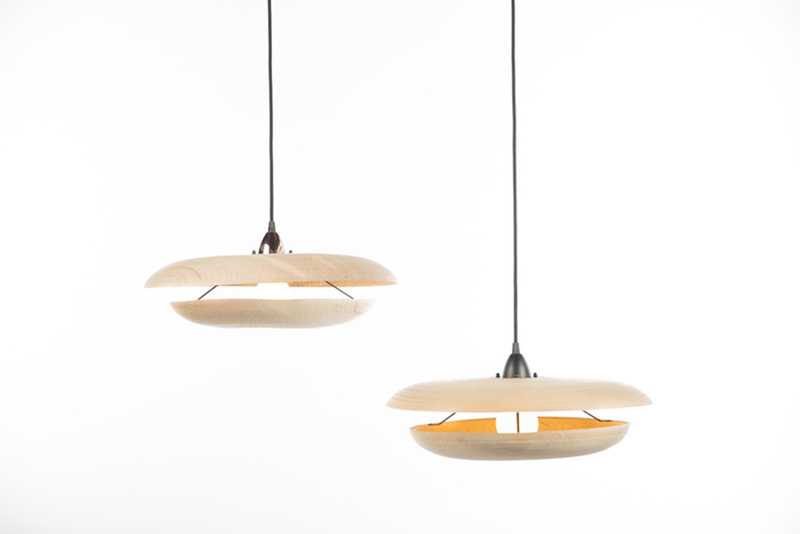 The finished pendant light is comprises only four components. Each pendant light comes with a 120cm, fully adjustable braided E27 electrical fitting with metal ceiling cup and bulb holder cover.